But I digress. 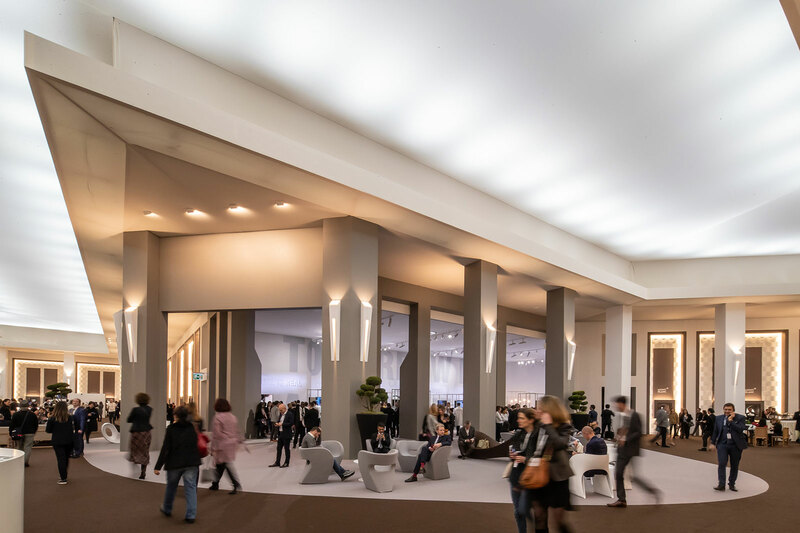 One of the most notable trends at the show seems to be the brand themselves chipping away at the importance of the event, with many major brands holding back major launches for the rest of the year. 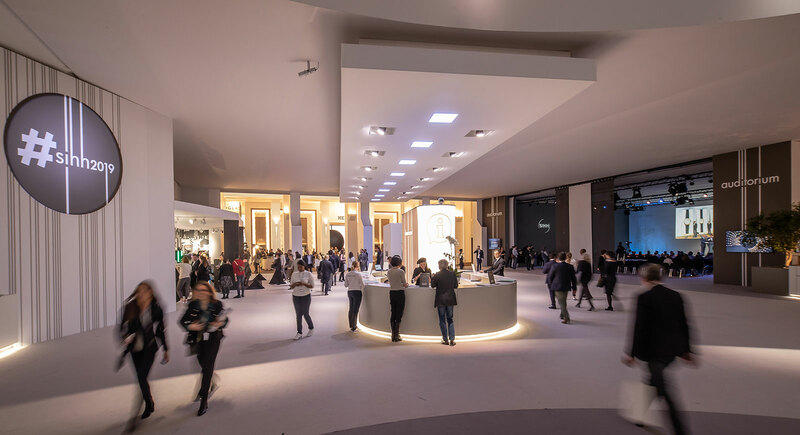 Both Panerai and IWC, for instance, only showed about half of the new releases for 2019, while Audemars Piguet kept the watches that will be the hits for the year under wraps. But because retailers are shown the full range to allow them to order inventory in advance, and some key clients also get a preview, many of the yet-to-be-launched watches have been leaked on social media, including a bronze Panerai and various ceramic Royal Oaks. A intriguing development at the fair was Baume & Mercier’s abandoning of the silicon hairsprings that made their debut in the Baumatic of 2018. The elimination of the silicon hairspring has lowered the retail price of the watch by about €250, but that’s notable for the reason behind the retreat. According to several insiders, Baume & Mercier, and by extension its parent Richemont, was kindly asked to stop using silicon hairsprings because the intellectual property for them belongs to a consortium led by Swiss micro-engineering institute CSEM, which is in turn backed by Rolex, the Swatch Group and Patek Philippe. The request was reputedly backed up by the threat of a lawsuit, explaining why silicon hairsprings at Richemont are now a distant memory. Vacheron Constantin had the most technically interesting watch of the show. The Twin Beat Perpetual Calendar has two balance wheels, and switching from the conventional one to the low-frequency balance can lengthen the power reserve to 65-days. The watch is both imaginative and impressive. Also watch that did well technically is the Lange Zeitwerk Date. Though it outwardly seems to be the mere addition of the date, the improvements to the movement made are significant, and complex in a distinctly German way. Also impressive but in a more conventional manner was the Jaeger-LeCoultre Master Grande Tradition Gyrotourbillon Westminster Perpétuel. 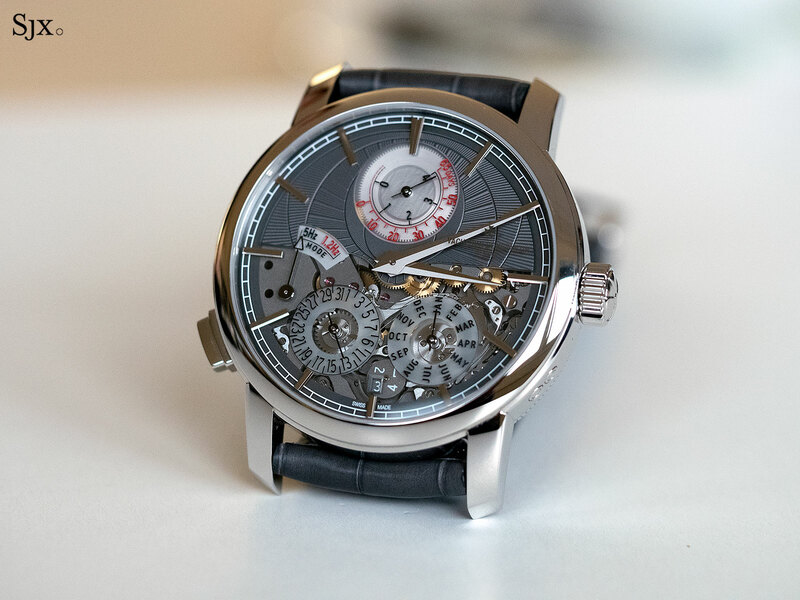 The name is six words long, the movement has four complications, and it costs €800,000. All the complications within have been found in one form or another in earlier Jaeger-LeCoultre watches, so it is not novel, though combining them all is a feat. The only downside is the overly pimped out design that tries way too hard. I hate to be unkind to such a complicated watch but it resembles something from Cecil Purnell. 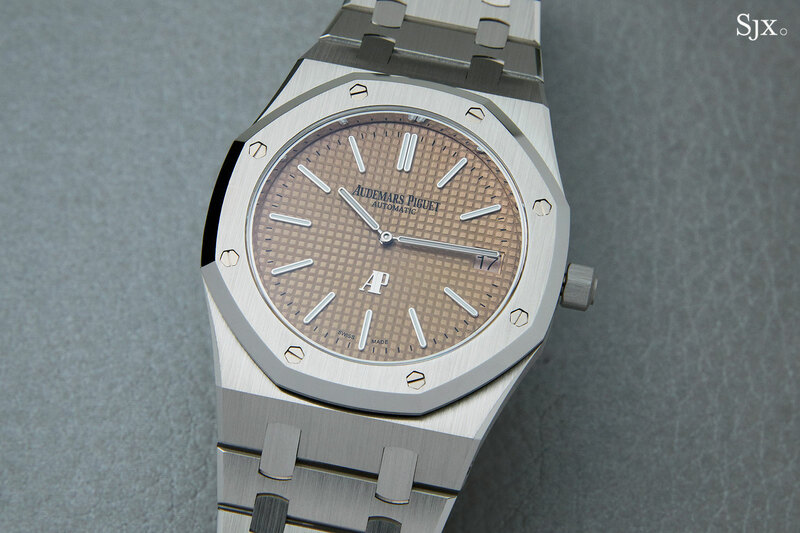 In contrast, the Audemars Piguet Code 11.59, which was slammed as hard as the Royal Oak is octagonal, isn’t bad looking. The dials are the entry-level models, namely the automatic with date and chronograph, are dead boring, but the high-end complications have attractive looking dials. And the case is well finished and full of interesting detail, though it does feel larger than it is. What was unfortunate at Audemars Piguet, and deserving of criticism, was the Royal Oak Extra-Thin with a salmon-tone dial. Announced as a 75-piece limited edition, it was unsurprisingly, a big hit. Audemars Piguet then backtracked and instead made it 75 pieces annually, before making it limited production of an indeterminate number each year. That’s just not cool, even though the watch itself is. Panerai and IWC had solid, but largely run of the mill watches. IWC offered well priced pilot’s watches in predictable styles and materials, but they are nonetheless attractive, especially those in black ceramic. At Panerai it was all about the Submersible in various sizes and materials (plus a lot more to come in the rest of 2019), though several models were packaged with “experiences”, like training with the Italian navy’s elite commando frogmen or traipsing around the Arctic with uber-explorer Mike Horn. It’s a novel idea that will no doubt be repeated by Panerai, and other brands. Cartier, on the other hand, had a good number of watches that will be commercial hits, like the Santos-Dumont with a long-life quartz movement, but not much in the way of aficionado or collector appeal. One exception was the Santos Skeleton “Noctambule” that has its skeletonised movement bridges coated in Super-Luminova. Bizarre, fun but also commercially shrewd was the Richard Mille Bonbon collection, inspired by candy and fruit. It’s exactly the sort of watch that the owner of a $1m Richard Mille tourbillon would buy for his child, or much younger wife. In terms of value buys, two stand out. One is the Montblanc 1858 split-seconds that offers a wonderfully decorated, traditionally constructed rattrapante movement for less than such things usually cost, although it is helped by the fact that the movement is actually a large, pocket watch movement. The other is the Ulysse Nardin Freak X. When I first heard about it the watch felt like a cop-out, essentially a Freak-style time display module on a conventional automatic base movement. But in the metal it is works very well. The size, shape and style are well executed, and the movement is also interesting, requiring significant work to redo the wheel train and escapement. For just over US$20,000 retail it’s a lot of watch. Surprisingly there was little of significance from the independent watchmakers. The most talked about was probably grass-covered watch from H. Moser & Cie., but it was a clever marketing stunt. The F.P. 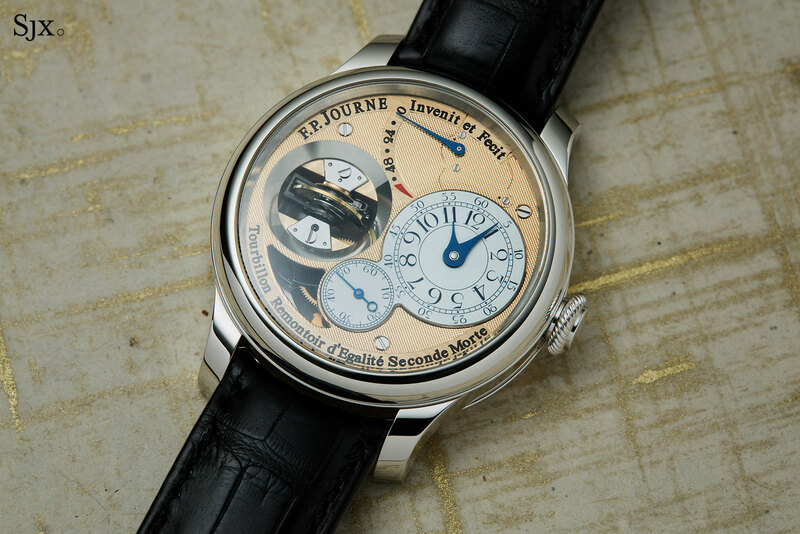 Journe Tourbillon Souverain Vertical was probably the most notable. Conceptually it make sense, being a literal throwback to Abraham-Louis Breguet’s original rationale behind the tourbillon, but it is a large watch that feels unlike any F.P. Journe watch that has come before. It feels too large in fact. Extremely clever is the Ressence Type 2, which has an electronic module that can set the time of the mechanical movement. It is however expensive for what it is, and the longevity of the electronics is a worry. And finally Laurent Ferrier unveiled the Bridge One that has an elegantly shaped case, though one that is quite large. 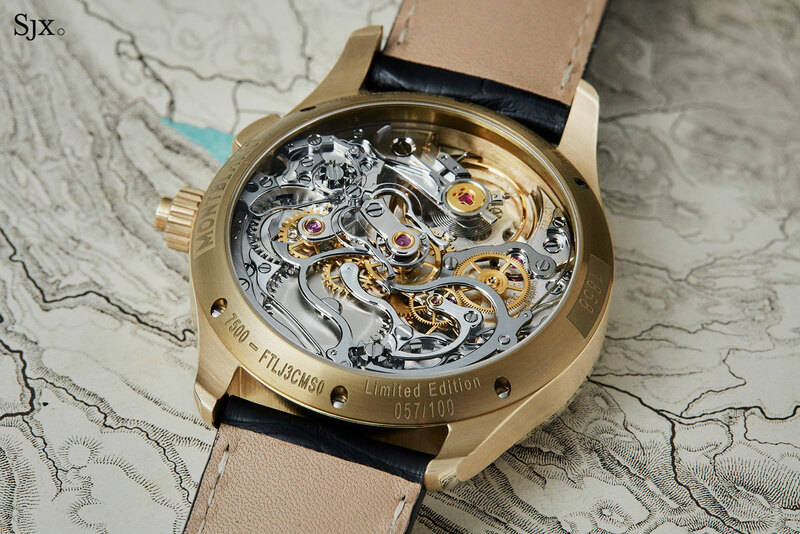 The movement is a form movement, shaped to fit the case, though based on the calibre inside the annual calendar from last year, being essentially the same but with reshaped bridges and plates. The folks at Time Aeon debuted the prototype movement of the Naissance d’une Montre 2, the result of a collaboration between Oscillon, Urwerk and Greubel Forsey. It looks unusual and promising, though the watch is some time from completion. Lastly, A. Lange & Söhne and F.P. Journe both presented prizes to young independent watchmakers, which does bode well for the future.